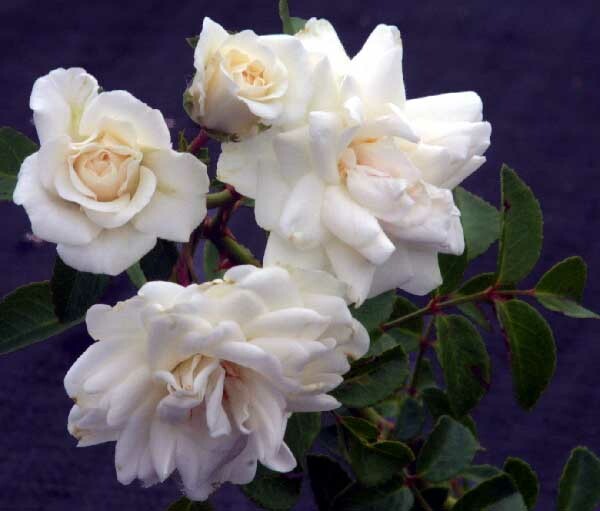 `Sea Foam' is a very useful rose as it can be grown in a number of ways: a ground cover, trailer, or as a climber. The off white flowers are double, with a slight fragrance. It has glossy foliage as well. `Sea Foam' can grow up to 10 feet long. Bred in Kingsville, Maryland in 1964 by E.W. Schwatz.